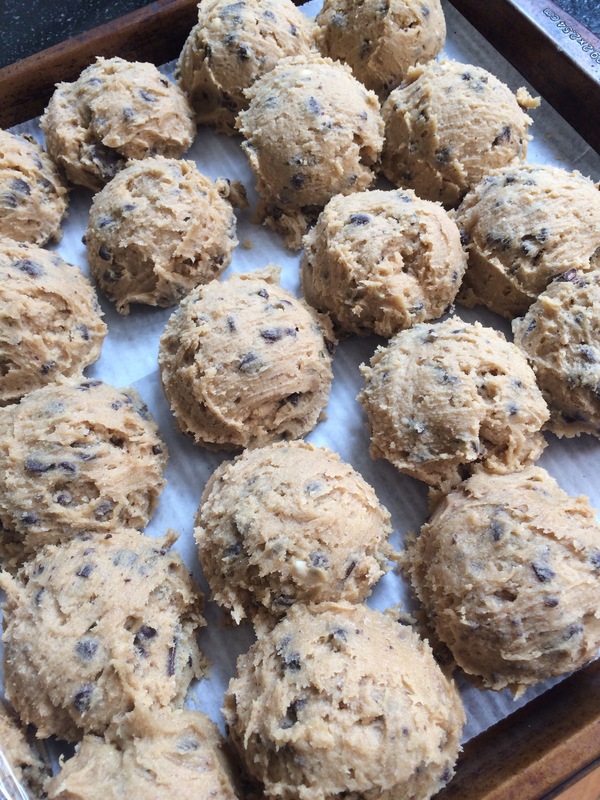 I keep lots of cookie and scone dough on hand, so I can just pull it out and bake it off at a moment’s notice. Sometimes this means I need a few of these and a few of those. While all those cookies might fit easily on one cookie sheet, bake times are not always the same. King Arthur Flour recently shared a great tip, which rectifies that problem completely. They suggest placing each type of cookie on its own strip of parchment paper on the baking trays. When one row is done, simply pull the entire sheet off the pan and continue baking the others. This entry was posted on October 24, 2017 at 9:36 am and is filed under Food. You can follow any responses to this entry through the RSS 2.0 feed. You can leave a response, or trackback from your own site.